When you use the term metal detector, everyone is likely to immediately think of longer airport security lines and brisk TSA officers. 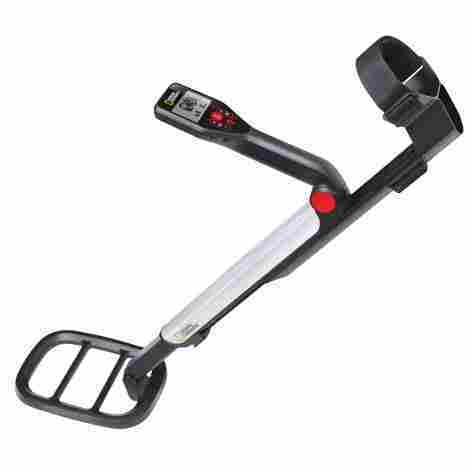 Yes, a metal detector is technically a device that helps you to pick up on metallic objects. However, metal detectors have many more uses outside of airports. They have become vital instruments to many fields and have attracted many hobbyists. A metal detector comes in many shapes and sizes, especially as modern science has refined our available technology. However, the most recognizable shape is the long metallic rod that uses either a coil or pulse indication that allows it to pinpoint substances that may contain traces of metal. Metal detectors are valuable tools in the mining and archaeology industry. However, metal detecting is a surpassingly popular hobby worldwide. Metal detecting has become a fun way for people to detect hidden treasures which otherwise may have never been discovered. A metal detector can allow you to make surprising discoveries in remote places. Metal detection as a hobby allows you to experience your surroundings in a radically new way. It’s not just about digging up rusty nails and finding the occasional discarded coin. Digging up discarded artifacts allows you to think about history and to understand and appreciate the environment around you a little bit better. Whether you just want to get into metal detecting for fun, or whether you require a heavy duty machine for detecting ancient artifacts. 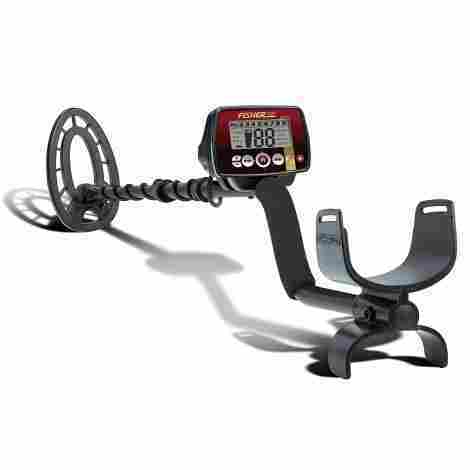 Our selection of top rated metal detectors will have the best option for your skill level and budget. The XP Deus has quickly become one of the most revered tools in the field both of its immense detection power as well as the thought and innovation behind its design. The XP Deus comes with a double 9-inch coil for accurate detection, 18 different detection programmes, and operates using three different lithium-powered batteries. This device is powerful enough to be used on a professional level, while still being user-friendly enough to be enjoyed by entry-level enthusiasts. The Deus features a wide variety of settings to suit your every detection need and terrain. The device comes pre-programmed with 10 different settings and an added 8 customizable settings. No matter what your skill level or your environment, the Deus' sheer variety in settings makes it a highly versatile tool. The Deus is capable of quickly and seamlessly switching between frequencies which gives you a more accurate detection experience. The Deus can easily switch between 4 kHz up to 18kHZ which means that you'll be able to detect a wider variety of objects. The XP Deus is definitely perhaps better suited to the skilled or professional detection specialist considering its sensitive detection power and technology. The device is highly durable, completely weatherproof and includes batteries, headphones, and 5-year warranty. 18 Different settings allow you to customize your detection experience. The device has a 5-year warranty. Has a 9-inch weatherproof double coil for deeper detection. The Garrett Pro-Pointer AT is a unique device in the world of metallic detection since it's much smaller than traditional devices and is fully waterproof. This product is ideal for beginners since its smaller and easier to manage. However, this device also offers plenty of perks for experienced enthusiasts. This device is waterproof, making it perfect for underwater detection and offers three sensitivity settings for optimal detection. The Garrett Pro-Pointer AT is the perfect choice for entry-level detection enthusiasts since its small size and simple set up make it very user-friendly. This device is much easier to handle than traditional devices, moreover, it is easy to set up and immediately start detecting. This device is waterproof up until a depth of 10 feet. This makes it ideal for use at the beach, lake, or riverside. In addition, the device has a bright orange color to easily see in an underwater setting. 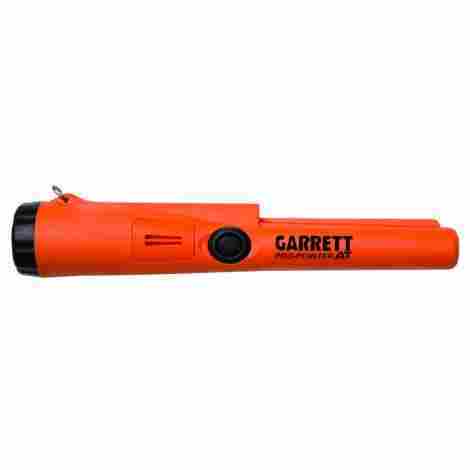 The Garrett Pro-Pointer AT is one of the most cost-effective devices available on the market. Despite its low price, the device was made by a reputable manufacturer and the device itself is extremely durable. It may not be as sophisticated as some other devices but is definitely the perfect entry-level detector. More cost-effective than other devices. The device's small size makes it easy to carry around. The device is waterproof up to 10 feet. The device's bright orange color makes it clearly visible from a distance. The device offers three sensitivity settings for versatile detection. The device drains batteries quickly. The Tesoro Silver uMax has a rich history of being one of the world's favorite hobby detection devices. Ever since its inception in 1983, the Tesoro Silver has been known for being strong, simple, and silent and this still rings true today with its latest model, the Silver uMax. This device features an 8-inch concentric coil that is interchangeable, a 10 kHz frequency, and silent search mode. This device is simple enough to be ideal for newbies and powerful enough to please pros. The Silver uMax allows you to truly tailor your detection experience by its discriminate level and sensitivity level control. This allows you to easily switch between various settings to best suit your terrains and detection needs. This device operates using a drop in 9V battery that can easily last anything between 10 to 20 hours depending on your sensitivity and discriminate level. In addition, the device has a built-in battery test feature so that you can easily determine how much battery power you have left. Tesoro is renowned for their quality products and this is no different with the Silver uMax. For a modest price, you'll receive a great device that works well on any terrain. Moreover, this device comes with a lifetime warranty that you can count on. This device has a beautiful, retro design. Has a much longer battery life than other devices. This product uses an 8-inch coil that is interchangeable. The device allows you to navigate between different discriminate and sensitivity levels. The device does not include headphones. The device does not have an LCD screen. Garrett is one of the leading manufacturers of detection devices which makes it unsurprising that the Ace 300 is a device that delivers high performance in any given environment. This device features a submersible coil, five different search modes, and eight different sensitivity modes. This powerful device can easily detect objects eight to ten inches below surface level and will delight novices and experts alike. The Ace 300 offers the user ultimate control when it comes to customizing their search experience. This device allows you to choose between five different search modes, and eight different sensitivity and depth settings. You can easily adjust your settings using the device's included LCD screen controls. The Ace 300 offers an enhanced iron resolution feature which is vital for the machine to discriminate between important objects and other pieces of general rubbish. This feature allows you to enjoy a more streamlined detection experience. This device has enough detection power to please any professional, yet despite this is very moderately priced. 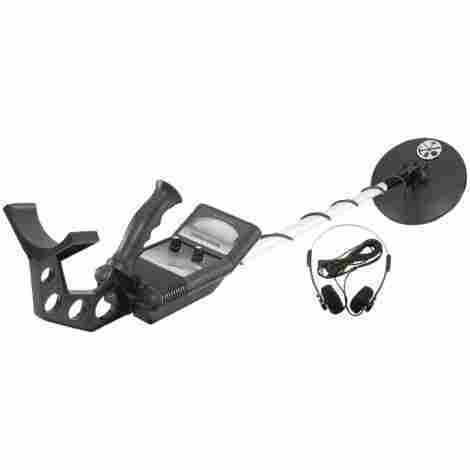 You also receive three free accessories when purchasing the Ace 300 such as a search coil cover, and headphones. This device includes three free accessories. Allows you to choose between five different search modes. Can detect objects up to 10 inches below surface level. Includes digital target identification for more streamlined detection. Has three different audio tones. It is difficult to find replacement parts. Beginners might find the device difficult to use. National Geographic's PRO series enjoys a fun and lightweight design to appeal to kids, while it has just enough detection power to satiate the pros. This device features a 10-inch waterproof coil that can detect objects up to 12 inches below surface level. This device is very simple to set up and use immediately. It offers a variety of operation modes and sensitivity levels that can be adjusted using the device's LCD screen. This device features a fully waterproof coil which makes it a great fit for any environment. In addition, the PRO series is fully collapsible meaning that you can take your device with you wherever you go. The PRO series allows you to choose between three different operation modes as well as four different sensitivity settings. This allows you to create a more rewarding detection experiencing by filtering out any possible rubbish objects. The PRO series is very reasonably priced considering this device's surprising detection strength. This device has a waterproof search coil for durability in tough terrains and has a two-year warranty. More cost-effective than other similar devices. Offers three different search modes and four different sensitivity levels. 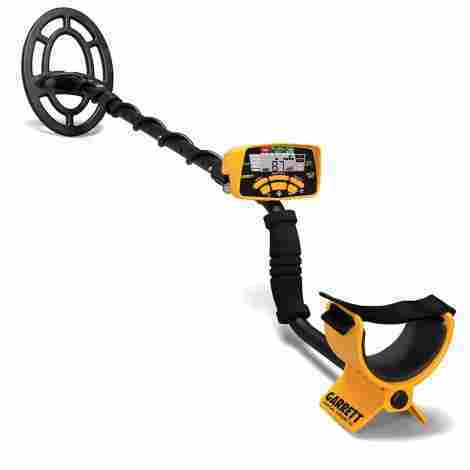 Uses a 10-inch coil that can detect objects up to 12 inches below ground. Includes an easy to use LCD screen. This device is lightweight and collapsible which makes it easy to transport. Batteries for the device are not included. Not adequate for professional detecting. The Fisher F22 is a lightweight and reliable device that will surely thrill beginners and experts alike. This device operates using a 9-inch waterproof coil that can detect metallic objects up to 9-inches below surface level. The device is highly customizable as it offers seven different detection modes and allows you to adjust the length of the rod itself. This is a comprehensive yet user-friendly device that can accommodate most terrains with ease. To make things even easier for the entry-level hobbyist, the F22 allows you to choose between one of four different search modes: jewelry, coin, artifact, and custom. By selecting one of these modes, your device will automatically configure its settings for an optimal detection experience. The Fisher F22 device includes an LCD-screen that gives you information about your device's current settings as well as some information about your current environment. Moreover, this LCD screen makes it easy for you to adjust your device's settings to suit your need. Considering its considerable detection power, the F22 is very competitively priced compared to most other available products. The device is durable and has a 5-year warranty. Considering the device's features and great price, this is the ideal solution for the entry-level hobbyist. 9-Inch waterproof search coil allows greater searching depth. The device's rod length can be adjusted. The F22 is more cost-effective than other similar products. Four different search modes allow you to customize your detection. The device is user-friendly and easy to set up. Does not offer a ground balancing feature. The TK4 from Bounty Hunter is a tough device suited for a wide variety of terrains and metallic objects. Thanks to its user-friendly design and relatively low price this device is ideal for newcomers to the field to get a feel for detection. The TK4 operates with an 8-inch waterproof coil and two alkaline 9V batteries. The device offers the user 3 modes of operation as well as a sensitivity control feature. The TK4 includes an LCD screen that allows the user to configure their settings before getting started. The device allows you to choose one of three different modes of detection for a tailored detection experience. This device was made to withstand all sorts of conditions and terrains. With its waterproof coil and overall durability, this device can withstand harsh weather conditions. In addition, this device's sturdy design ensures that it can perform well in almost any environment. The TK4 is one of the cheapest devices available on the market which makes it perfect for entry-level detection. Despite its low price, this device performs well under any circumstances, is made from durable materials, and includes a 5-year warranty. Rugged design makes this device weatherproof. The device is cheaper than most other detectors. The manufacturer offers a 5-year warranty on this product. The TK4 allows you to choose between three different modes of operation. The device includes a screen and headphone jack for user-friendly detection. Not suitable for deep detection. 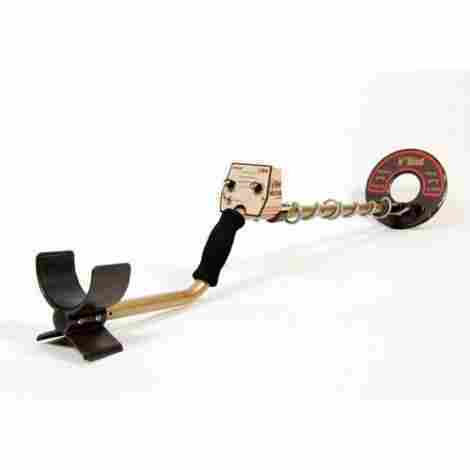 The Gold Digger from the reputable manufacturer, Bounty Hunter, is one of the most versatile devices when it comes to seeking out hidden treasures. The device uses a 7-inch weatherproof coil to find metallic objects up to 2 feet below surface level. The device includes a variety of sensitivity and detection power control for optimum use. In addition, this device features a trash eliminator mode for effective detection. This device was definitely created with the novice in mind. This device is incredibly easy to set up using its user-friendly knob interface that allows you to adjust the device's sensitivity and power. This device can pick up on a wide variety of metal with ease, including iron antiquities, coins, silver, and gold. This device can detect small objects up to 6-inches below surface level and larger objects up to 2 feet below surface level. The Bounty Hunter Gold Digger is one of the cheapest devices available on the market. However, the low price does not compromise on quality or performance. This device is weather resistant and offers surprisingly powerful detection for this price range. This device can detect objects up to 2-feet below surface level. Its 7-inch search coil is weather resistant. The Gold Digger is cheaper than other similar products. The device is lightweight and easy to use. The Gold Digger's trash eliminator feature helps you avoid rubbish objects. The device is not sensitive enough for specialized detection. The Delta 4000 from Teknetics was made with the user in mind. This device is lightweight and features an easy to read LCD screen and user controls. The device uses an 8-inch waterproof coil and can detect objects up to a depth of 8 inches. In addition, the easy to read LCD screen allows you to easily navigate between the device's different modes and to adjust the device's settings. The Delta 4000 is one of the most user-friendly devices available on the market. Weighing in at just 2.6 pounds, this device is easy to move around and features an adjustable shaft to suit your own height. In addition, the device features a padded armrest for comfortable detection. This device features an 8-inch waterproof search coil that can be completely submerged in water. This makes it ideal for rainy environments or detection terrains that include any body of water. The Delta 4000 is moderately priced considering its high performance. 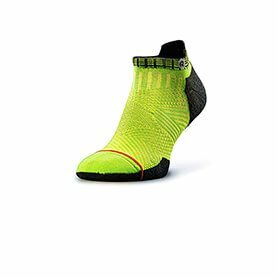 This device is weatherproof and includes several features for optimal ease of use. In addition, this device features a 5-year warranty from the manufacturer. Has an 8-inch waterproof search coil. The aluminum shaft is adjustable to suit your height. The easy to read LCD screen allows you to manipulate your device's settings. The device offers various operation modes. With a total weight of just 2.6 pounds, this lightweight device is easy to carry around. Has trouble accurately stating how deeply an object is below surface level. This product from INTEY is bound to delight metal detection enthusiasts thanks to its quirky design and accurate detection capabilities. The INTEY GC-1065 features a waterproof search coil as well as several search modes that allows you to enjoy a streamlined detection experience. The device features a retro knob display that allows you to adjust the device's search mode and sensitivity settings. Furthermore, the device emits a beeping sound and lights up when you're close to your target. This is a fun device that's sure to inspire kids and novices to become lifelong enthusiasts. The GC-1065 has two different modes to tailor your detection experience. The All Metal Mode allows you to pick up on all kinds of metal and minerals, whereas the Discrimination Mode eliminates minerals and trash objects. The device's search coil is fully waterproof which makes it ideal for outdoor use. You can safely use your device in rainy or wet environments such as the beach to detect hidden treasures without fear of compromising your device. The GC-1065 is definitely more suited for the novice detector, and the price reflects that. This device enjoys a very reasonable price and offers more than adequate detection power for the entry-level enthusiast. This device also comes with added accessories, such as a carrier bag and a 90-day warranty. Two search modes allow you to tailor your detection experience. This device is cheaper than most other available products. The search coil is waterproof for outdoor use. The device is easy to use and ideal for novice detectors. The GC-1065 features a fun and quirky design. Not suited for detecting specialized objects or materials. Ever since the invention of the metal detector in 1874, these devices have undergone several advancements as they have taken a more prominent role in modern life. The role of these devices goes far beyond that of the security industry. These devices have become important in several sectors from the obvious mining, security, geography, and archeology sector to more obscure sectors such as the food processing and pharmacology. These devices have become vital to ensure the safety of workers and consumers alike while also allowing other sectors to gather more information about a working environment. Moreover, metal detection has grown tremendously as a hobby in recent years. This hobby has awakened the imagination of thousands of enthusiasts as this tool has allowed them to find small buried treasures and antiquities. The hobby is a unique one as it is educational and appeals to a wide demographic of people all across the world. Whether you’re looking for a highly sensitive device for a specialized field or whether you simply want a new hobby to enjoy with your kids, there is definitely a device that’s perfect to suit your specific needs. One of your top considerations when choosing your new device should be the type of objects you intend to search for. Whether you simply want to see which treasures lurk buried in the earth or whether you’re looking for a specific metal, this question will more or less dictate which device is your best option. Novice detectors who simply want a device to indulge their hobby can get away with buying a general device that detects basic metals and limited device sensitivity. However, professional users might need a device with much higher sensitivity as well as more detection modes to effectively eliminate trash objects from their chosen search object. When purchasing your device, you should ensure that your chosen device can effectively seek out your desired metal. For example, not all devices are sensitive enough to seek out silver and gold, if you want this feature, you should ensure that your chosen device has a high enough sensitivity to find gold and silver objects. For the novice owner who is unsure of which objects are most likely found in their area, it would be a good idea to research your immediate area. This allows you to gain a broad overview of the area’s history and subsequently of which objects you are likely to come across most frequently. Of course, you would like ideally to use your new tool in as many new and different environments as possible. However, when selecting your new device, it’s a good idea to keep in mind in which kind of areas you will predominantly use your device. This consideration can play a large role in guiding your decision making to choose the device most suited to your needs. The first thing to consider about your environment is the weather conditions. Will your device frequently be exposed to harsh weather conditions such as heavy rain, snow or hail? If so you should take care to select a rugged, durable and weatherproof device that can effectively withstand the elements. The second consideration should be water. Do you live near a body of water such as the beach or a river where you’d like to use your device? If so, you should choose a device that is waterproof, or at the very least as a waterproof coil. When using the device, you should take care to note until what depth the device is waterproof. Lastly, it is important to note the kind of soil that is predominant in our immediate environment. Some detectors work better in loose, sandy conditions such as beaches, while others thrive in environments characterized by densely packed soil. Whether you’re buying a detection tool for the very first time or whether you are looking to replace an existing device, you should always keep in mind your level of skill and knowledge in the field of detection when selecting your device. Any activity’s skill or experience level can broadly be divided into three different groups: novice, intermediate or expert. The same goes for metal detecting. Your level of skill will have a great influence on your chosen device. The novice requires a device that is very versatile and performs well in detecting a wide variety of metals in a wide variety of environments. This is mostly because the novice needs to be exposed to a variety of detection experience and environments before starting to hone their craft. More importantly, the device should be easy to set up and to use. The ideal device for the novice would be user-friendly, offer great value for money, and would be able to pick everyday metallic objects. This device won’t necessarily offer specialized features but instead would offer the user a great entry-level experience. The intermediate or expert would prefer a device that has a higher sensitivity and that offers more specialized features such as a metal discrimination tool, the ability to adjust the device’s frequency, better detection depth, and adjustable ground balance. In addition, the intermediate or expert user might prefer investment tools instead of devices that are priced lower but are less sophisticated in their features. This is a factor that is often overlooked by novices and experts alike: how often will you be using your device and for how many hours at a time? This consideration is important as it could be a determining factor when you think about your intended device’s durability and design. The frequent user will have different needs than that of the occasional user. The occasional user who uses their device only every other weekend in mild weather will not necessarily worry about wearing down their device or caring for their device. In comparison, the frequent user might require a rugged and durable design for frequent use. Frequent users should ensure that their chosen device was manufactured using only high-quality materials known for their durability such as aluminum. In addition, the frequent user might benefit greatly over an extended product warranty. There is also the issue of battery power to consider. 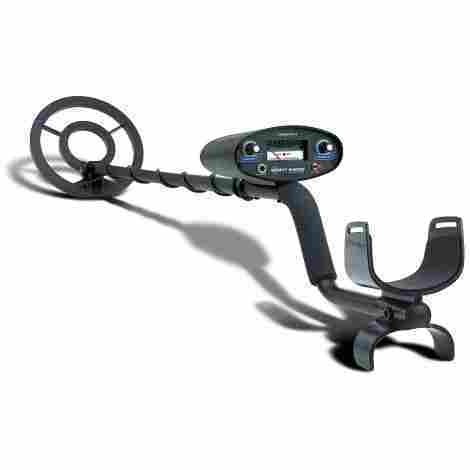 The average metal detector operates using batteries. However, some devices drain batteries more quickly than others. If you intend to use your device for long stretches of time, you should ensure that your batteries won’t suddenly die. Lastly, the frequent user should consider investing in a carrier bag to transport their device safely, and ensure that they clean and care for their device after every use to ensure its longevity. Generally speaking, your personal budget is a huge determining factor when making any decision. 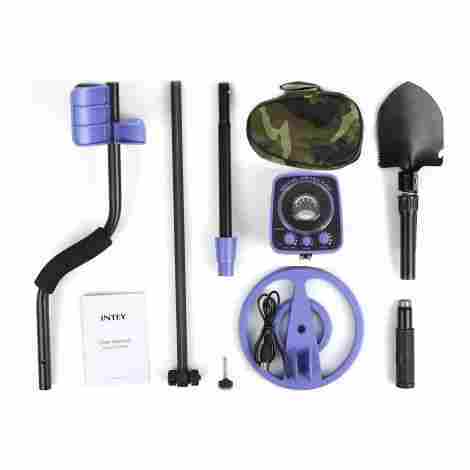 However, this becomes even more significant when purchasing a metal detecting tool. Of course, no device you buy should exceed your budget, but this does not mean that you have to compromise on quality or detection power. Professionals or experts might have more incentive to invest in highly specialized and sensitive detection tools. Professionals can generally expect to be reimbursed by their company, while experts have enough confidence and knowledge to establish whether an upmarket product is truly worth the price. However, novices can find plenty of great entry-level devices that offer excellent value for money. A: This is a specialized tool used in several fields and industries and is frequently used as a hobby. Using its own mechanism, this device empowers its user to detect metallic objects within its immediate vicinity. These devices can detect a wide variety of metallic objects at distances of up to 2-feet depending on the device itself. Q: How does a metal detector work? A: The vast majority of metal detectors operate using batteries. The battery transfers electricity down to the detection coil which in turn create an electromagnetic field. This electromagnetic field then has a unique interaction with nearby metallic objects that allows the device to alert you that there is an object close by. Most devices operate using search coils that can vary in shape and size. While some detection tools can also use pulse induction, the most common detection tools prefer to use coils. 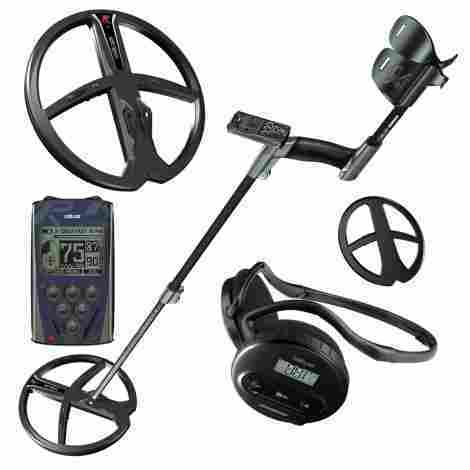 Q: What kind of batteries does a metal detector need? A: This will largely depend on your selected device. Generally speaking, the average device requires a 9V battery. Please read the product’s description to find out what kind of battery it requires before purchasing. After purchase, read the device’s included instruction manual to ensure that you insert the product’s batteries correctly before use. Q: Up to what depth can my device detect objects? A: A product’s searching depth is often dependent on its coil size and sensitivity and the object itself. Bigger objects are more easily detected than smaller ones. In addition, older objects have frequently become oxidized making them harder to find by most devices. Your device’s coil shape and size will also likely affect its searching depth. 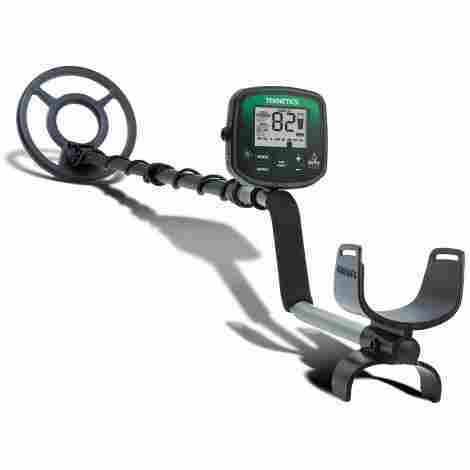 However, generally speaking, the average metal detector will be able to find objects 8-20 inches below surface level. Q: Is it important that my device is waterproof? A: This depends on the environment that you use your device in most frequently. For environments that are rainy or have bodies of water close by, a waterproof device is essential to protect it from potential damage. The majority of good quality devices from reputable manufacturers features at the very least a waterproof search coil. This allows you to comfortably use your device in shallow water without fear of damaging your device. Q: What kind of objects will my device find? A: While you’d expect that this device will find any object containing metallic elements, this is not always the case. Any given detection tool will pick up on different kinds of metals depending on its sensitivity, coil shape and size, and other settings. When using your device, you can expect to find objects containing traces of steel or metal such as bronze, silver, gold, aluminum, tin, copper, lead, nickel, and iron. However, not all devices can pick up on every single kind of metal. Certain steel objects, such as gold and silver, require a device with a higher sensitivity and frequency to detect them. Gold and silver objects are also often harder to find since they are much smaller than other objects containing steel. When purchasing a device, you should find out whether it is capable of detecting specialized metals such as gold and silver if you require this searching feature. Q: Can kids use a metal detector? A: Yes, they can! This device is often a fun way to teach kids about geography or history and is a fun way to get them interested in the environment around them. Just make sure that the device itself is lightweight enough and user-friendly so that your child can easily adjust the device’s settings on their own. Q: How easy is it to set up the device? A: Once again this will largely depend on your device itself. Detection tools aimed at kids and novices will be much easier to set up than those created for experts and professionals. If you require a device that is easy to set up, look for a device that does not feature many sophisticated features and that clearly states that it is for entry-level detectors. Once you’ve received the device, consult the instruction manual closely so that you can get the most out of our detection experience. Q: Do I need my own set of headphones? A: While it is recommended to own your own set of earphones or headphones, this is not always necessary. Some intermediate and expert devices do come with their own headphones included, while other devices include a speaker which emits the beeping sound. When you purchase a device, always check to see what kind of headphone jack it has to make sure that your set of headphones is compatible with your chosen device. A: Your device’s battery use will depend on the device itself as well as your device’s settings. Generally speaking, a pair of batteries can last anything between 10-20 hours. Some devices include an LCD screen that informs you when your battery power is getting low. Always ensure to take an extra pair of batteries with you. Q: What are detection modes? A: Some detection tools have a detection mode feature that is essentially a prefigured setting that allows you to search for a specific object. Some detection modes allow you to search only for coins, jewelry, relics, etc. Once you’ve selected the specific detection mode, the device will automatically configure its settings to be optimal for finding the specific object. Q: What are sensitivity levels? A: The sensitivity level of a detection tool is not always fully utilized as it is often misunderstood. The device’s sensitivity levels refer to its ability to respond to metallic objects with a weak magnetic field. The higher the device’s sensitivity, the more likely it is to pick up objects that emit a weaker magnetic field. This allows you to filter out trash objects and enjoy a more streamlined search experience.